MIXACO in the Food Industry. Perfect Quality in Every Mixture. Quality and hygiene are a top priority when it comes to foodstuffs and pet food. Gentle mixing action and consistently reproducible results are fundamental success factors in all food production. That’s why there is a strong demand for process-safe solutions that can handle innovations in the food industry. New recipes are decisive in maintaining a competitive edge in the food and pet food industries. Products and brands diversify into new tastes or are upgraded with additional functions. 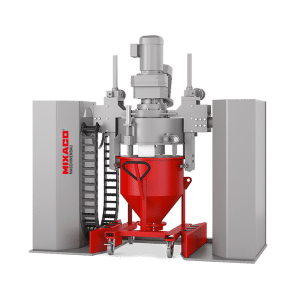 Not only the product characteristics of the mixture, but also the desired additional benefits must be considered, especially in the case of powder compounds and dry masses. Interesting results are always possible here, for example, by the use of innovative mixing processes. In our Innovation Centers, recipes can undergo a wide variety of tests and the respective mixing processes can be fine-tuned. At the same time, food safety aspects such as the prevention of product contamination with dust can also be taken into account. The appropriate mixing solution must fulfill a wide range of requirements in the sensitive environment of food processing. It’s important that the correct temperature is always maintained to ensure that no valuable nutrients or vitamins are lost. 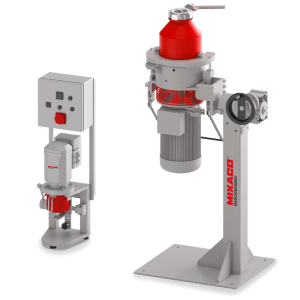 The choice of suitable tools is an important contribution to achieving best mixing results without impairing the quality of the sensitive raw materials. It is essential to guarantee hygienic cleaning of equipment and containers, and MIXACO machines provide outstanding solutions. For instance, all surfaces that come into contact with the product are made of stainless steel. 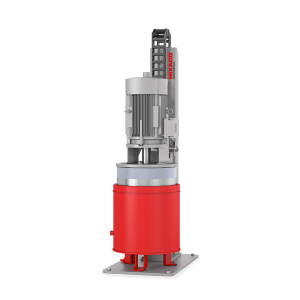 More than 50 years of experience in the field of mixing technology ensure that our machines not only offer solid, robust quality, but are also easy to clean and therefore ideally suited to the requirements of the food industry. 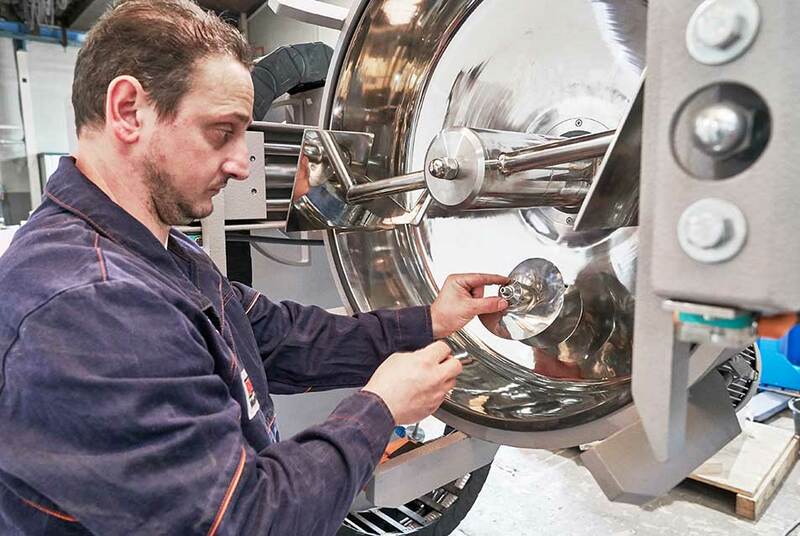 Our customers benefit from the wide range of different applications and high-volume throughput in all batch sizes, which enables them to implement production innovations more economically and take them to market faster. We need to convert our ideas into new products quickly and flexibly, and a key factor in our success is the cooperation with MIXACO. 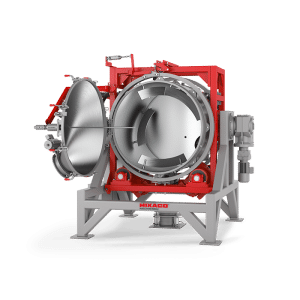 The ongoing advice and clear solutions provided by their experts help us to ensure gentle processing and optimization of our production workflow. Flavorings ‣ Bakery products ‣ Spices ‣ Dietary supplements ‣ Pet food ‣ Powders ‣ Vitamins ‣ etc. We supply not only high-performance machines, but also the optimum solutions for use in the production of foodstuffs and pet food. 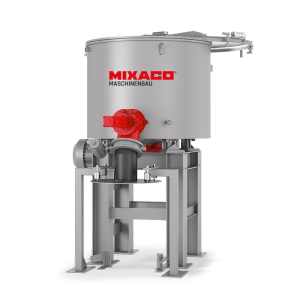 In this market, leading supplier MIXACO delivers maximum efficiency, superlative mixing quality, optimum machine availability and a wealth of unique know-how for the individual requirements of the food industry. Your Reliable Partner for Foodstuff and Pet Food Mixing Questions. We have straight answers for your individual requirements. To submit your inquiry without obligation, simply fill in our contact form. Your encoded data will be transmitted securely and treated in complete confidence.